If you're thinking about taking the plunge into homeownership, here are five mistakes you definitely don't want to make. The busy summer season is almost here, and many people will begin looking for their first home soon. While the process of buying your first home should be an enjoyable one, it's important to do your homework so you know exactly what you're getting into, and how to save yourself headaches down the road. With that in mind, here are five common mistakes of first-time homebuyers, and why it's so important to avoid making them. Before you begin shopping for your first home, you should meet with a lender and go through the pre-approval process. A pre-approval is important for any buyer because it shows sellers you're serious and it makes your offer carry more weight. To get a pre-approval (which is different from a pre-qualification), you basically have to go through the entire mortgage application process. You'll have to document your income and assets, verify your employment, and allow the lender to check your credit score. The result is that you can then be confident that you'll be approved for a mortgage, and exactly how much money you qualify to borrow. Without a pre-approval, you won't know for sure how much you can afford, and whether or not you'll run into any issues once you find a home. Mortgage approval issues can delay your closing, or even cause your contract to be cancelled, so this is an important step before you get started. If you've ever watched House Hunters or Property Virgins on HGTV, you know that a lot of buyers get nitpicky when looking at homes. When shopping for your first home, you need to repeat the following sentence to yourself several times: "There is no such thing as the perfect home." Every single home you look at will have something you don't like. And many times the issues are fixable. For example, if a house you look at has hideous carpet and paint colors, keep an open mind. Those are low-cost fixes, so don't rule out a house that has cosmetic issues but otherwise meets your needs. By the same logic, make sure the house meets your needs now and will continue to do so in the future. Is there a serious possibility of a couple of new additions to your family over the next few years? Maybe a house with one bathroom is fine for you and your spouse, but will it really meet your needs five years from now? Every real estate agent I've ever worked with has a "mortgage guy" that he or she sends clients to. Now, I'm not saying don't talk to them, but you should definitely get a few different quotes from lenders to make sure you get the best deal. A small difference in mortgage rates can mean a lot of money over the long run. For example, let's say you want to borrow $200,000 to buy a house, and you have two 30-year mortgage offers: 4% APR from the "mortgage guy" or 3.9% from another lender. This may not sound like a big difference, and your monthly payments will be similar, at $955 and $943, respectively. But over the life of the loan, the cheaper one will save you about $4,300. That's a significant amount of money, and makes it more than worth the time to shop around. Once you sign a contract on a home, you'll have an inspection period, which generally lasts three days or so. Under no circumstances should you let this period pass without getting the home inspected. And, don't cut corners by hiring the least expensive inspector you can find. It's definitely worth the cost to hire a reputable inspector who will give the home a thorough examination. A home inspection lets you know exactly what you're getting into. You'll know the condition of everything that makes up the home, and what areas could potentially lead to problems down the road. After an inspection, you can ask the sellers to fix issues that you find or to reduce the price -- though, they aren't obligated to do either. However, the main reason to get an inspection is to avoid costly issues before you're locked into a contract. Just because you can get approved for a big house doesn't make it a good idea. This goes along with the pre-approval discussion from earlier. Just because you can get approved for a certain amount of money doesn't necessarily make it a good idea. You should shop for the house that meets your needs, not the biggest and best house you can possibly afford. First of all, do you really want to take on the biggest monthly payment you can get? Also, bear in mind that if you buy a bigger house, other expenses will increase as well. Your taxes, insurance, maintenance, and utilities costs will likely increase along with the size of your house. The most important thing to remember when starting the process is that you are new at this. 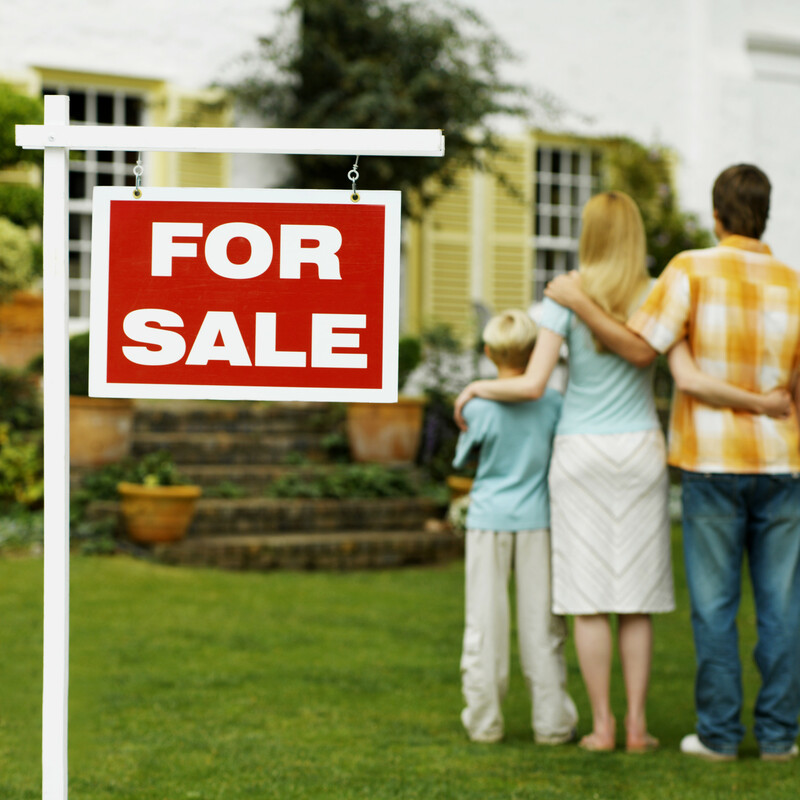 You don't know everything about buying a home, so don't be afraid to defer to a professional. Every first-time buyer should work with a real estate professional, preferably one that specializes as a buyer's agent. Their experience and knowledge will be useful, and their commission is paid by the seller from the proceeds of the sale. So, hire a real estate agent, and pay attention to their advice. They've done this a whole lot more than you have!